Repeating the same old cherry recipe year after year can be boring to make, as well as boring to eat! This recipe for cherry clafoutis is one of the easiest French desserts you can ever make, simply perfect for cherry season and is absolutely amazing. 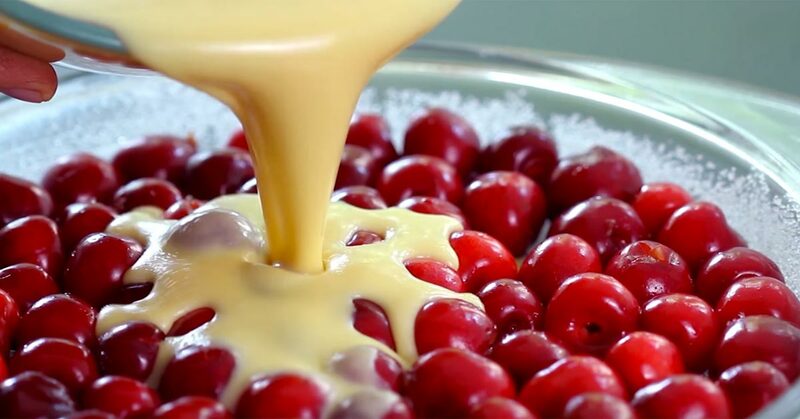 A custard like base and lots of cherries on top, sprinkled with a bit of powdered sugar, it is best served warm either as a dessert or even for breakfast.